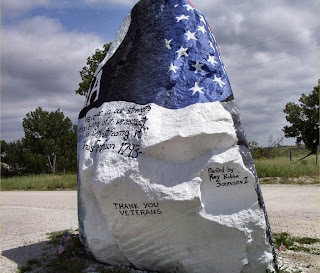 The Rock THIS IS A GOTTA SEE!! 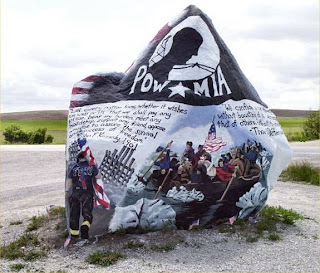 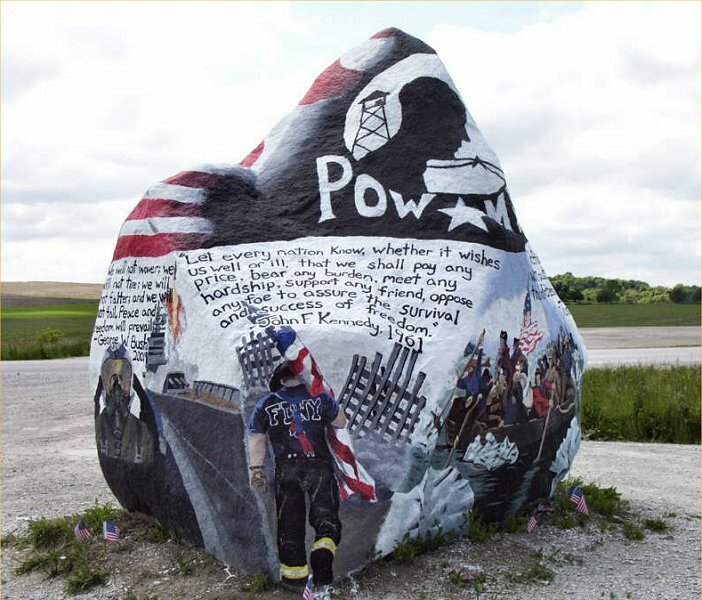 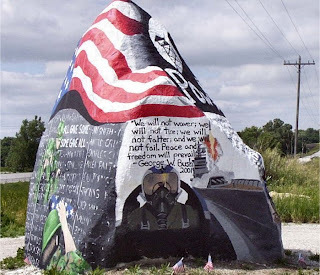 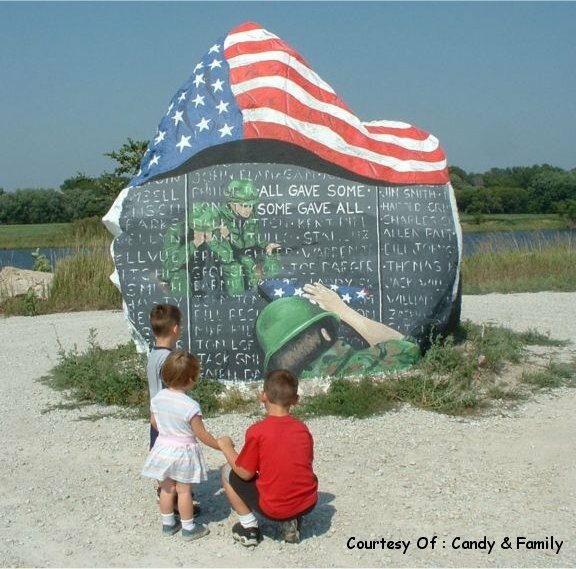 There is a huge rock near a gravel pit on Hwy.25 in rural Iowa . and since then it has been left completely undisturbed. 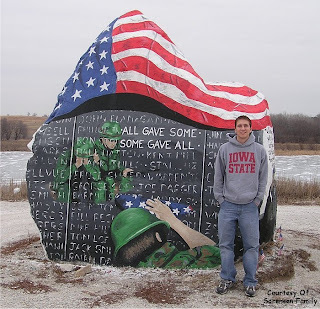 check out the multiple photos. All angles of the rock. 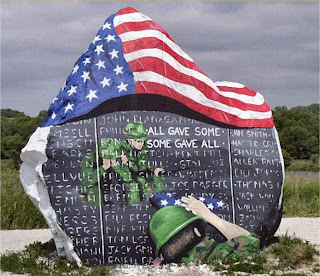 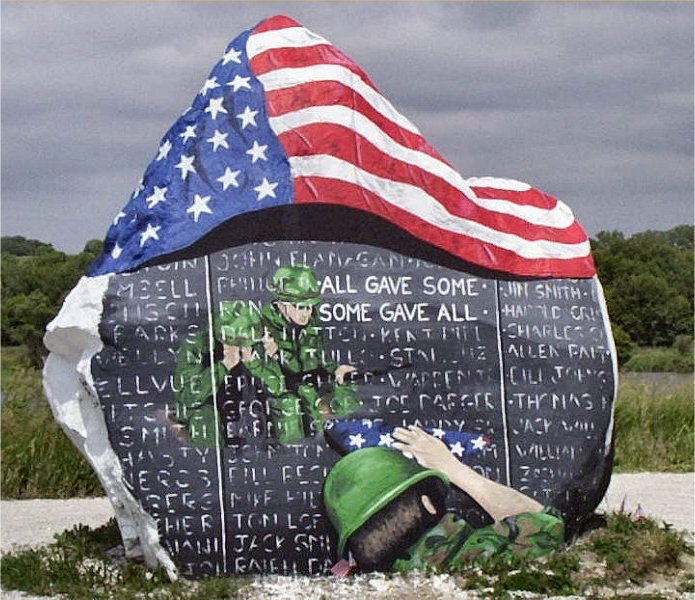 The flag is actually painted on the rock too. 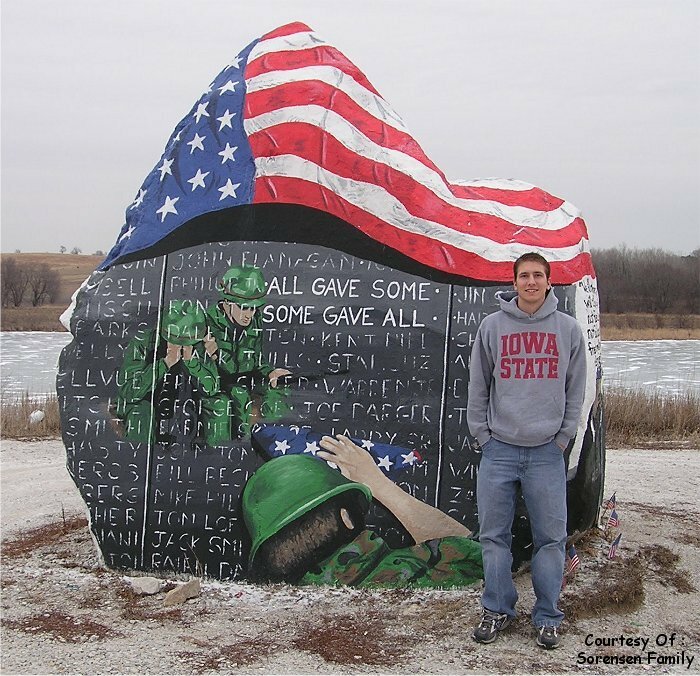 Here's the artist: Ray 'Bubba' Sorensen.